The 2019 Mitsubishi Outlander is a very affordable way to get three-row transportation. This is a smaller, crossover SUV that can carry up to seven people. The Outlander is a four-door vehicle with a rear hatch for your cargo. It comes in a wide array of trim packages to suit a variety of needs. There's now also a plug-in hybrid model of the Outlander. If you need to haul around a lot of passengers but don't want a bulky, full-size SUV, the Outlander is a pretty good option. For 2019, Mitsubishi has updated the exterior styling for the Outlander. The front end and headlights get the makeover treatment this year. Some upgrades to the suspension system provide for a better ride quality in 2019. Steering has also been tweaked to provide for better handling. On the inside, the rear-seat areas now have vents for more personalized climate control. The Mitsubishi Outlander is one of the few crossover SUVs to come standard with three rows of seats. This makes it a great choice for anyone with a big family or the need to haul around passengers. This is a feature that really sets it apart from the competition in a crowded field. It's something the Outlander offers that is hard to find anywhere else. Cargo space is one of the best reasons to buy an SUV. 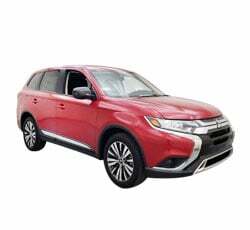 The 2019 Mitsubishi Outlander doesn't disappoint in this area. A crossover gives you this in a smaller package. This means you avoid the difficulties of parking and maneuvering a large vehicle. Because of the third seat row, it only has a modest area of 10.3 cubic feet to begin with. The space really opens up when you let the last row of seats down. You then have an impressive 63.3 cubic feet of space to work with. You still have plenty of space for passengers too, even with those seats down. It's rare to get a hybrid option for crossover vehicles. A hybrid has been available in Europe for a few years now. In 2019, it's finally coming to the U.S. as well. It's one of the few hybrid SUVs available with AWD. 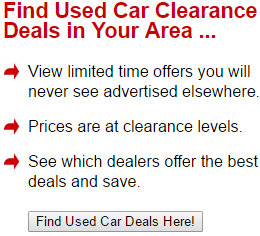 Most of the vehicles in those categories are luxury models. The Outlander provides those perks in a more affordable ride. 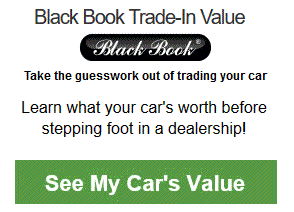 If you value fuel economy and environmental issues, this may be the best choice for you. The 2019 Mitsubishi Outlander has four exciting engine options. The base I-4, a powerful V-6, a hybrid and now a diesel engine as well. This power train is a 2.2 liter, turbo diesel with plenty of power and torque. This may not be the first choice for everyone, but it's great that Mitsubishi provides so many options. This model comes standard with a 6-speed, automatic transmission and AWD. The Mitsubishi Outlander is the cheapest crossover available with three rows of seats. It's one of the cheapest crossover SUVs on the market, period. It's not built cheaply, however. The vehicles is solid, well-built and reliable. The materials used for the interior are all of a high quality. This makes the Outlander a really good value for the money. The 2019 Mitsubishi Outlander has a great infotainment center. This is paired with a top-notch sound system. Rockford Fosgate furnishes the stereo and speakers, which provide excellent sound quality. Apple CarPlay and Android Auto are both on tap for 2019. The standard models all get a 7-inch touchscreen. The screen has bright, clear and easy to see graphics. The system allows you to do a number of tasks hands free too. The Outlander provides some of the best fuel-economy options available for its class. The plugin hybrid obviously leads the way. If fuel economy is your main priority, this is the model to go for. The base, I-4 isn't too shabby either. It gives you around 25 mpg in the city and over 30 mpg on the highway. The V-6 offers a bit less with a combined rating of 22 mpg. This is 20 mpg during city commutes and 27 mpg while driving on the highway. The V-6 more than makes up for this with added power and performance. It's not a sports car, but the 2019 Mitsubishi Outlander has a sporty feel for a crossover SUV. If performance is what you're after, the top choice here is the V-6 GT model. The GT offers 224 hp and 215 lb-ft of torque. That's plenty of power to haul around a carload of passengers and plenty of cargo. Acceleration is great for a vehicle in this class, out-performing much of the competition. The 2019 Mitsubishi Outlander provide a number of modern, high-tech safety features. Best of all, many of them come standard on all models. There is a forward-collision detection system. You also get rear-view cameras to help you to see blind spots when you're in reverse. There's a lane-departure warning available. You also get a good amount of standard airbags. Mitsubishi has done a lot of work to make the Outlander a comfortable ride. Their sound proofing is well done. Most road noise and wind is kept to a minimum. The great suspension system takes away the shock of any bumps along the road. The vehicle has very little sway or body roll, even during tight turning maneuvers. The ride quality is further enhanced by comfortable seats and plenty of head and legroom. The 2019 Mitsubishi Outlander features a great, standard engine. Unfortunately, the engine can be quite noisy. This is particularly true during rapid acceleration. While the Outlander does a good job of mitigating outside noise, you can still hear the engine roar and not in a particularly good way. The V-6 is the best engine option for those wanting sporty performance. Unfortunately, it's only available on the top level GT models. The GT is a fantastic choice if you want something that is practical but also fun to drive around in. It is, however, substantially more expensive than the various base models and lower-tier trim levels. It would have been nice to have a cheaper alternative to the GT that still came equipped with a V-6. The 2019 Mitsubishi Outlander has the benefit of coming with a third row of seats that is standard on all models. The downside here is that the third row is rather small and cramped. Adults can fit in the third row, but they won't be very comfortable. You wouldn't want tall or larger passengers to sit back there for long drives. The seats are okay if you have younger children to cart around though. The Mitsubishi Outlander has three main competitors for 2019. These are the Nissan Rogue, Subaru Forrester and the Mazda CX-3. The Rogue has comparable power and fuel economy to the Outlander. It's also one of the few vehicles in this class that comes in at a similar price point as the Outlander. Mitsubishi wins out here when it comes to higher seating capacity and more cargo space. If you have more people and goods to haul around, then stick with the Outlander. Subaru's Forrester has a lot to offer for a crossover SUV. Mitsubishi's V-6 option provides a lot more power than anything the Forrester has to offer. Once again, the Outlander provides a higher seating capacity. It also gives you more safety features than the Forrester. Mitsubishi wins out over Subaru when it comes to reliability too. The Mazda CX-3 and Mitsubishi Outlander both come equipped with inline-4, base engines. Both engines provide nearly identical horsepower, torque and fuel-economy ratings. The Outlander's optional V-6 gives you quite a bit more. The Outlander wins out again when it comes to seating capacity. Overall, the Outlander has a roomier interior and more cargo space. 2019 Mitsubishi Outlander is one of the least-expensive crossovers on the market. The low cost, numerous standard features and three-row seats make it an excellent value. In a lot of ways, this small crossover fills a niche once ruled by the old-school station wagon. It's not going to tow or do off-road duty like a bigger SUV. It is, however, excellent for daily commutes, getting groceries and carting your friends or family around. The Outlander is safe, reliable and comfortable. Fuel economy is great and performance is pretty good, especially with the GT model. If you're looking for an affordable crossover, the Outlander should be at the top of your list.